Car makers all over the world are competing daily in order to attract customers to purchase what they have to offer. With the quick advancement in technology car makers are using more and more high tech gadgets in order to impress their clients. Here is a list of great new features that you might want to consider when shopping for a new car. Run-flat tires are one of the new features that are extremely useful when you get a flat tire. This new technology allows you to drive for up to 50 Miles to get to a gas station or a car repair shop where you can fix or change your tire. Cars that have this feature also have a red light located on their dashboard in order to tell the driver that he has a tire that needs to be changed. This new technology is extremely useful for those of us that do not like to change tires, especially on a busy street. Smart airbags are one of the high tech features that are not only convenient, but they can save your life. These new smart airbags have special sensors in them that tell them how to deploy based on the impact of the accident. The amazing feature that they have is that some of them can measure the weight of the person seating in the seat, which tells them how they need to deploy. This feature is extremely helpful due to the high rate of fatal results among children and in some cases adults. The back up assist camera is one of the greatest features that some auto makers offer for their clients. This amazing new feature helps the driver when backing up in order to park their vehicle. It uses the display of the navigation in order to show what is happening behind the vehicle. 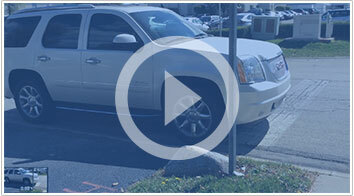 It can be very helpful when the driver is backing up and a child or a dog crosses their path. This feature can also tell the driver how far he is from hitting an object when backing up with a special sensor that is located in the back of the vehicle. The back up assist camera is one of the high tech gadgets that is extremely beneficial for people that are looking to purchase large vehicles that are harder to park. When shopping for a new car these high tech features will make the car better. Each one of them will cost you more, but it can save you a lot of time, money, and problems in the future. Paying a little more to have these features will pay off in the long run.